Improves Sleep – When your body is warm, you tend to fall asleep quicker and rest through the night with fewer disruptions. Reduces Stress and Anxiety – Along with making you feel temporarily relaxed, studies show that the combination of hot water, the massage of the jets, and the feeling of weightlessness can significantly reduce both mental and physical stress and decrease anxiety. Reduce Arthritic and Common Pain – The Arthritis Foundation recommends incorporating hydrotherapy into your treatment regimen. Buoyancy reduces the weight felt by our joints and bones. The hydrostatic pressure exerted on the body results in reduced inflammation and increased mobility. Immersion in hot water will help relieve the pain and stiffness associated with arthritis. Lowers Blood Sugar – In one study, published in The New England Journal of Medicine, subjects with type 2 diabetes spent a half an hour, six days per week for three weeks submerged in a hot tub up to the shoulders. By the end of the three weeks, the subjects saw an average drop in blood glucose (BG) levels from 182 mg/dl to 159 mg/dl. Lowers Blood Pressure – Submersing yourself in 104 degree water makes your heart work harder and faster to disperse excess heat. The increased blood flow provides extra oxygen to nourish your cells. While there may be an initial uptick in blood pressure, your increased warmth will cause cells to dilate, decreasing resistance against the heart and lowering your overall blood pressure. Promotes Healthier, Younger Looking Skin – Regularly soaking in a hot tub has been shown to lower levels of stress and anxiety. Stress and anxiety are leading causes of premature aging. 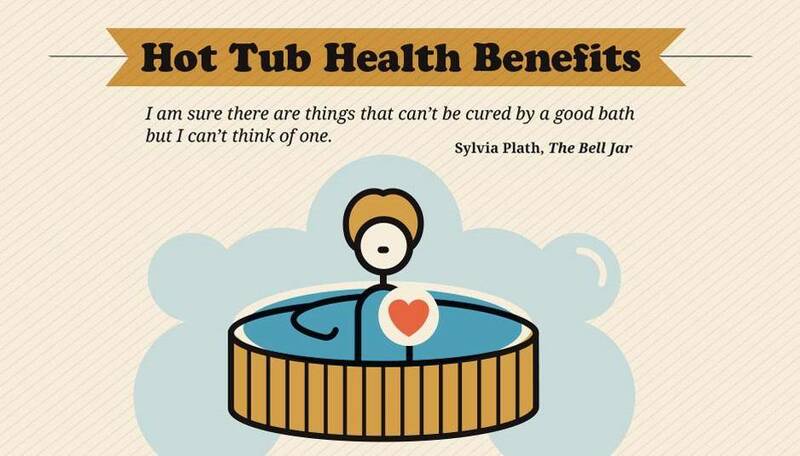 This means that relaxing in the hot tub will help keep you looking and feeling young. Furthermore, the increased blood circulation caused by soaking in hot water means that your blood is more efficiently delivering vital oxygen and nutrients to your skin – giving you a healthy, youthful glow. Decrease Frequency of Migraines and Tension Headaches – Migraine sufferers often report tension headaches immediately preceding the occurrence of a migraine. While soaking in a hot tub, almost every muscle in your body becomes relaxed – thus decreasing the chance of experience a tension-triggered migraine. Additionally, sufferers of sinus and cluster headaches tend to experience episodes coinciding with nasal and chest congestion. Spending time in a steamy hot tub – along with using nose drops and drinking fluids – is a good way to fight congestion and prevent these occurrences. Ask about our eucalyptus mint hot tub salts, which can further relieve these symptoms.